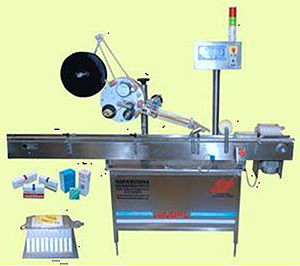 Conveying system to convey the product. Imported A.C frequency variable drive for variable speed with constant torque. Dispensing Unit to dispense labels. Micro controller controlled (Fiber Optic based) Product Sensor to sense the product. Micro controller controlled (Fiber Optic based) Label Gap sensor to sense the gap between two labels. Reel mechanism (Size: – 305 mm) to hang the roll.